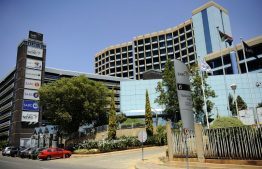 Parliament’s Communications Committee has shortlisted the 24 candidates to fill vacancies on the SABC Board. The board doesn’t have a quorum following the resignation of eight of its members. The candidates will be interviewed next Tuesday. They include the corporation’s former CEO, Lulama Mokhobo, veretan actress Nakedi Ribane, Dr Saths Cooper and SANEF’s Mary Papayya. The Committee will no longer conduct exit interviews with the board members who have resigned. The shortlisted candidates were chosen from among the 233 received nominations. The post 24 candidates shortlisted to fill SABC Board vacancies appeared first on SABC News – Breaking news, special reports, world, business, sport coverage of all South African current events. Africa's news leader..